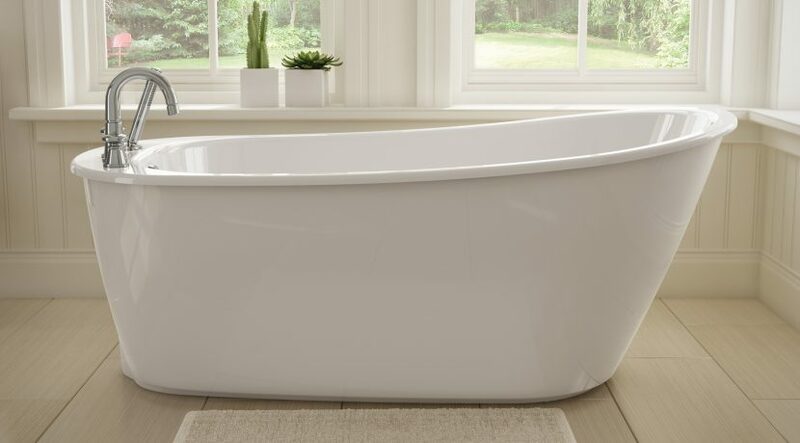 There is nothing like a long, leisurely soak in a luxurious hot bath to soothe away the stresses of the day—that is, unless your dirty tub is one of the things that you’re stressed about! • Diligence is the key. After bathing, rinse the tub with clean, warm water and wipe off excess moisture with a squeegee, microfiber cloth, or soft sponge. • For a deeper clean, pull out the green-cleaning standby, white vinegar. Fill a spray bottle with a half-and-half solution of vinegar and warm water. Spray the tub surface, let stand for 15 minutes, then wipe with a microfiber cloth or sponge. Rinse with clean water and wipe again. • For heavier dirt or mild stains, sprinkle the tub with baking soda and spray on the vinegar-and-water solution. Let the mixture bubble for several minutes, then scrub with a soft cloth or sponge until a paste forms. Let the paste sit for 15 minutes, then wipe and rinse. If you have hard water stains, dip paper towels in full-strength white vinegar and put the soaked paper towels on the stains. Let stand for one to two hours, then scrub with the baking soda and vinegar paste before rinsing clean. To remove tougher stains, make a paste of one part hydrogen peroxide to two parts baking soda (or cream of tartar). Rub the paste on the stain and let stand for 30 minutes to one hour, then wipe and rinse. If necessary, repeat until the stain is gone. • Rust stains can be treated with a paste of borax powder and lemon juice. Sprinkle the stains with borax and use the cut half of a lemon to rub the stain until a paste forms. Let the paste stand for 15 to 30 minutes, then wipe and rinse. There are a wide variety of commercial cleansers available to clean bathtubs. Some of the more popular ones include Scrubbing Bubbles, OxiClean, Clorox Clean-Up and Clorex OxiMagic. Commercial stain removers include Lime-A-Way and CLR Cleaner. Read and follow the manufacturer’s directions. 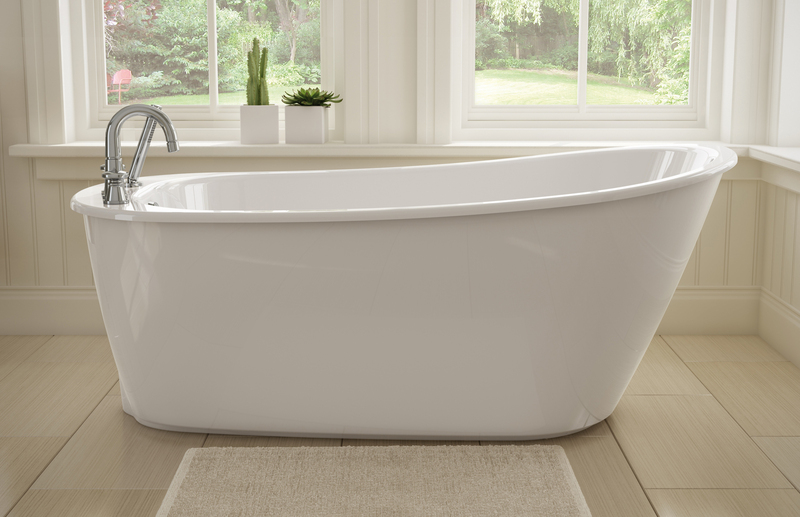 Again, taking a proactive approach—rinsing and wiping down the tub after bathing—is the best way to prevent dirt, grime, soap scum and stains from ruining your otherwise relaxing soak.